The POKÉMON Detective Pikachu movie is still on its way to theaters, but fans can get an early jump on the excitement by adding some super-sleuthing fun to their Pokémon Trading Card Game collection. 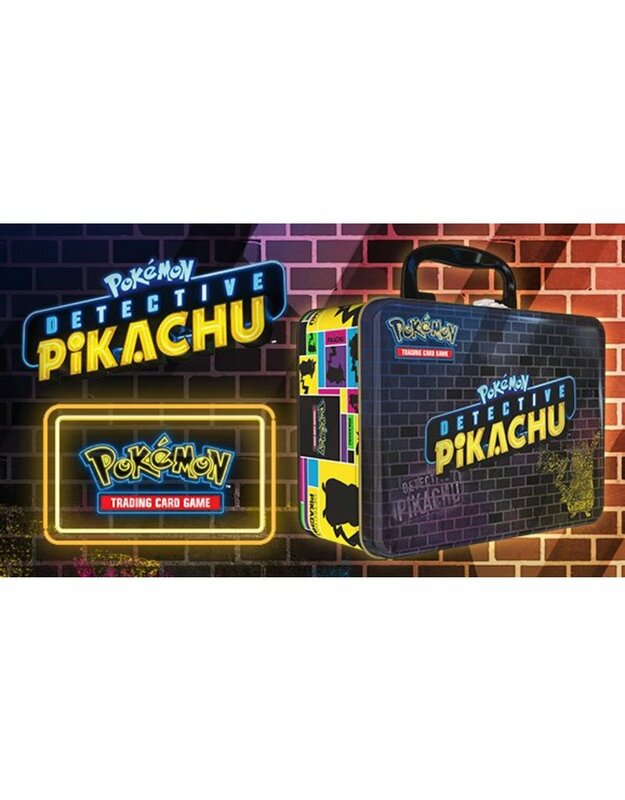 The Pokémon TCG: Detective Pikachu Collector Chest is a great way to collect some of the new cards inspired by the movie. Included in this sturdy metal case are seven Pokémon TCG: Detective Pikachu four-card booster packs, along with two additional Pokémon TCG booster packs. The set also features a stylish pin, a sticker sheet, and a notepad—perfect for recording your game-winning strategies (or investigation notes)!